The Best General Knowledge Blogs from thousands of General Knowledge blogs in our index using search and social metrics. We’ve carefully selected these websites because they are actively working to educate, inspire, and empower their readers with frequent updates and high-quality information. San Francisco, CA About Blog Reddit is a community of millions of users engaging in the creation of content and the sharing of conversation across tens of thousands of topics. Follow to keep up with articles on General Knowledge. Facebook fans 1,187,462. Twitter followers 552,857. San Francisco, CA About Blog Follow to keep up with posts on Intelligence quotient from Reddit. Facebook fans 1,187,469. Twitter followers 552,895. About Blog General knowledge quizzes on various subjects for students to prepare for quiz contests, Green Olympiad, Science Olympiad and spell bee contests. India About Blog Welcome to GKToday, India's most liked website on GK (General Knowledge), General Awareness & Current Affairs for Competitive Examinations. Facebook fans 1,367,462. Twitter followers 17,343. Cambridge About Blog Welcome to HighIQPro's Applied IQ and Cognitive Capital Blog. Keep up with the latest research and insights from the field of intelligence augmentation for real-world applications. Facebook fans 1,801. Twitter followers 332. India About Blog Welcome to Current General Knowledge Today. Follow to keep up with articles on General Knowledge. About Blog Subscribe to keep up with knowledge on Financial information with IQ Wealth Management blog! New Delhi, India About Blog Study-IQ Education is an education platform trusted by millions across the globe. We are passionate about education & our motto is a quality of education that is unmatched and that is what has made us successful in India. Facebook fans 186,883. Twitter followers 2,939. India About Blog Follow to keep up with articles from Fan Of General Knowledge. Facebook fans 1,308. Twitter followers 3. 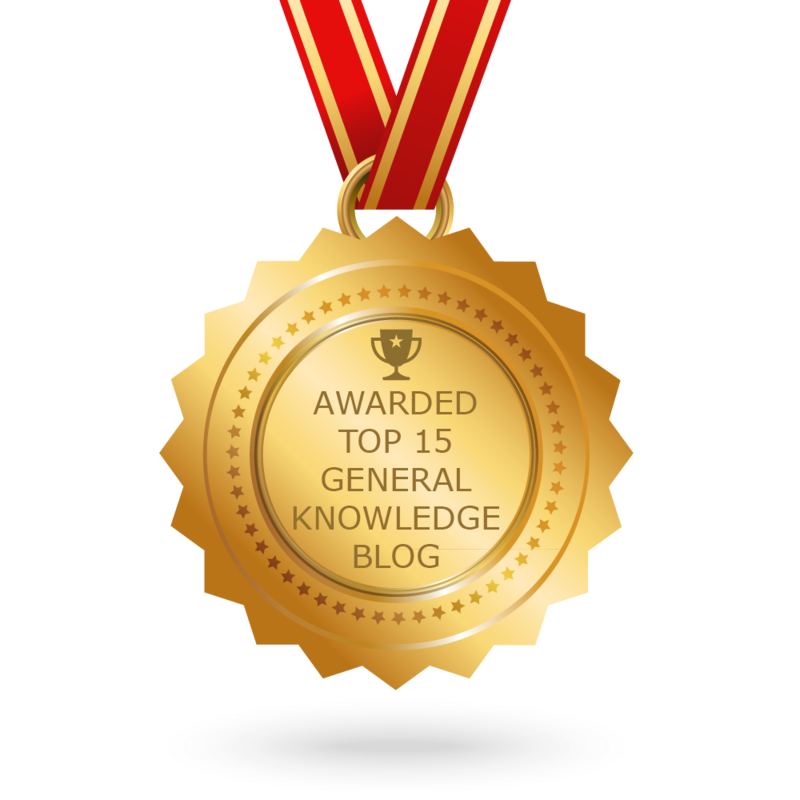 CONGRATULATIONS to every blogger that has made this Top General Knowledge Blogs list! This is the most comprehensive list of best General Knowledge blogs on the internet and I’m honoured to have you as part of this! I personally give you a high-five and want to thank you for your contribution to this world.